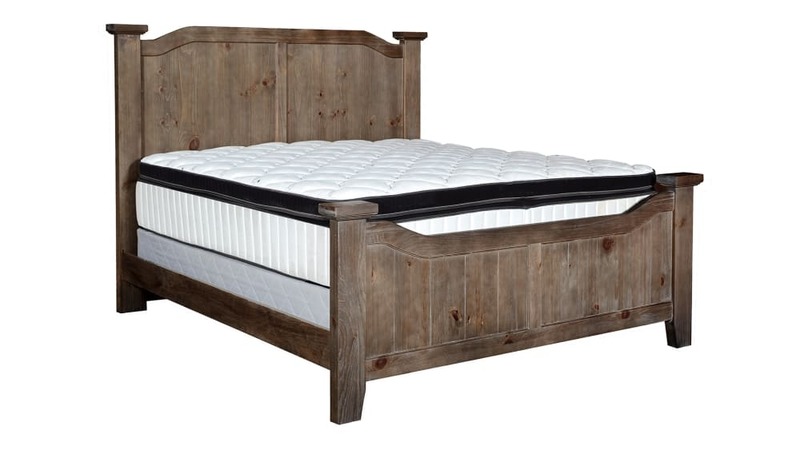 Defined by a refined rustic aesthetic, this charming bed made in America, will be the highlight of your bedroom. The knotty pine wood appearance is softened by the drift wood coloring of the wood. Create a staycation within your home and wake each morning in the embrace of the Sea Biscuit King Bed. Built Using Sustainably Sourced American Pine wood. Proudly Made in The United States of America by hardworking skilled workers. Driftwood color adds a contemporary edge.